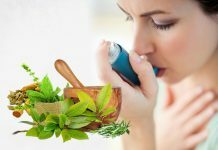 Home ASTHMA Asthma Diagnosis To Keep Asthma Under Control! 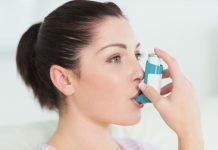 Asthma Diagnosis To Keep Asthma Under Control! Asthma is a chronic lung condition that is characterized by difficulty in breathing as the airways become irritated and narrow. Asthma diagnosis is the first step in keeping asthma under control. If you have these signs of asthma, you should consult doctor as soon as possible. The earlier the asthma diagnosis is done, the earlier condition can be controlled and the treatment can be more successful. Your doctor listens with stethoscope your breathing and find out for signs of asthma. 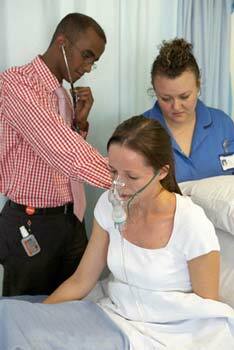 Your doctor will use a device called spirometer to check airways for asthma diagnosis. This is used to measure how much air and how fast you can blow air out of your lungs after taking a deep breath. 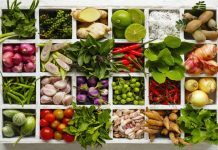 If your airways are inflamed or narrowed or if your muscles have tightened up around your airways, then results will be lower than normal. 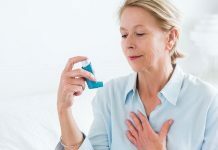 Your doctor prescribes some medications after asthma diagnosis which helps in opening up narrowed airways and to see if there is any improvement on your test results. 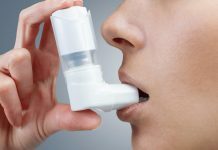 If your spirometry results are normal and still you have signs of asthma, your doctor may suggest having other asthma diagnosis test to see what else could be the causes of asthma symptoms. The common asthma diagnosis test is bronchial challenge test. For this asthma diagnosis test, methacholine is inhaled, which cause narrowing of airways in asthma and the effect is measured by spirometry. For children under age of five, spirometer cannot be used for asthma diagnosis. The doctor may give medication for the child and see if the child’s asthma symptoms get better. Other asthma diagnosis tests such as an electrocardiogram or chest x-ray is needed to find out any foreign object or lung or heart diseases are causing signs of asthma. 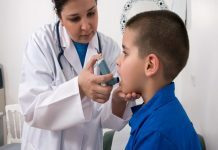 Asthma diagnosis should be done correctly to treat signs of asthma. Depending on asthma diagnosis, your doctor can determine how severe your asthma is. This information is helpful to manage your asthma successfully so that you can lead a normal and active life.